There are scores of world religions, each one with its own claim of supremacy. All of these have some formula for forgiveness, peace, and ultimate deliverance from death. With this in mind, it is interesting to note that biblical Christianity is the only religion that makes its claim of validity upon the resurrection of its founder.1 It is of the utmost importance that we not only understand the necessity of Jesus’ resurrection, but also the numerous evidences which substantiate its legitimacy. One such prophecy is found in Isaiah 53:8-10. It becomes very obvious by the phrase “…he was cut off from the land of the living”, that the Messiah would die. With that fact in mind, the prophet proclaims that the Messiah would, after being dead, physically see many who had trusted in Him as Savior. Isaiah then tells us that He (JEHOVAH) would lengthen His (the Messiah’s) time on the earth after his death occurred. Neither of these scenarios is possible without the Messiah’s resurrection. There are also many occasions in the Gospel accounts where Jesus himself prophesied His own death, burial, and resurrection. In Mark 9:31, we see a prime example where Jesus expounded upon His foreknowledge of His resurrection. In 1 Corinthians 15, the Apostle Paul penned what has been deemed “The Magna Carta of the Resurrection.”2 He explains that all would be worthless without the resurrection of Jesus. Without the resurrection, we would have no indication from God that the sacrifice of His only begotten Son was accepted and all that He claimed to be would be practically disproved. Hence, the statement even their preaching would be vain. All of this suddenly becomes very personal when we realize that if Jesus didn’t rise from the dead, His payment for our sins would not have been complete, and we would be condemned to pay for our own sins. Those who died professing Messiah would have perished, and we who are alive would be without hope. But Paul doesn’t end there. Not only are all of those terrible possibilities abolished, but Jesus’ resurrection was also proof that we will one day experience a bodily resurrection and receive glorified bodies. The entrance to the tomb was sealed by a stone hewn in the shape of a wheel.8 The stone was a far greater barricade than any ordinary door. Covering an entrance 4½ to 5 feet high, it would have weighed 1½ to 2 tons.9 Many scholars affirm that it rested in a trench.10 As many as ten men would be required to move it if this is true. Thus, it is hugely ridiculous to reason that the disciples stole Jesus body while the soldiers guarding His tomb slept peacefully. We read in Matthew 28:11-15 that after the resurrection, the soldiers who kept watch were paid by the chief priests to propagate a story of Christ’s disciples stealing the body. If this were actually true, the soldiers would have undoubtedly been executed. The entire burial wrapping, which consisted of no fewer than three separate linen cloths, was wrapped around the body starting at the feet. As the body was wrapped, the spices were mixed with a gummy substance called myrrh, and was placed between the folds. The final encasement could weigh between 117 and 120 lbs.12 It is not hard to imagine how difficult it would be to smuggle a body from a well sealed, well guarded tomb, whose body was encased in 100 lbs. of anointed grave clothes. Instead we find an empty tomb, clueless soldiers, and the linen clothes lying in the tomb, neatly removed from the body, and the facial cloth wrapped in a separate place.13 The only logical explanation is the resurrection of Jesus. After His resurrection, Jesus appeared to Mary Magdalene (John 20:11-18), the other women (Matthew 28:8-10), Peter (Luke 24:34), the two on the road to Emmaus (Luke 24:13-35), ten of the disciples (Luke 24:36-43), all eleven disciples eight days later (John 20:24-29), seven disciples by the Sea of Tiberias (John 21:1-23), five hundred followers (1 Corinthians 15:6), James (1 Corinthians 15:7), and the eleven at the ascension (Acts 1:3-12). Luke says: “He showed himself alive after his passion by many infallible proofs, being seen of them forty days” (Acts 1:3). He was also seen by Stephen (Acts 7:56); by Paul (Acts 9:38; 1 Corinthians 15:8) and once again by John (Revelation 1:12-18). Every disciple of Jesus but one (John, who survived being boiled alive, and was exiled to Patmos) met a gruesome death because of their beliefs regarding Jesus and His resurrection. Who, staring death in the face, would die for something they knew to be false? The notion is ridiculous. This commitment to the resurrection of their Savior was not just limited to Jesus’ immediate followers, but countless others were tortured, burned, mauled, crucified, and quartered for holding the same belief unto death. The history of the early church is one of bloodshed – not the blood of war, but of martyrs. They not only held to their testimony regarding the resurrection, but refused to retract their beliefs even knowing that their death would be imminent. 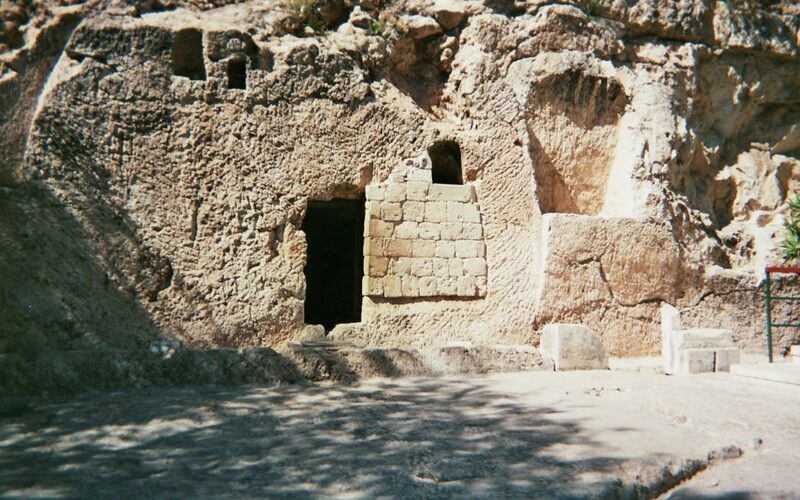 The disciples carried their convictions of seeing the risen Messiah to the grave. They paid the ultimate sacrifice, which produces further evidence of their testimonies’ trustworthiness. 1 Evans, William, The Great Doctrines of the Bible, (Chicago: Moody Press, 1974) 84. 2 Lockyer, Herbert, All the Messianic Prophecies of the Bible, (Grand Rapids: Zondervan Publishing House, 1973) 164. 3 Josh McDowell, The Resurrection Factor (San Bernardino, Calif.: Here’s Life Publishers, 1981), 56-57. 6 Ibid., 58; Ralph Gower, The New Manners and Customs of Bible Times (Chicago: Moody Press, 1987), 297-299. 8 William L. Coleman, Today’s Handbook of Bible Times and Customs (Minneapolis, Minn.: Bethany House Publishers, 1984), 247. 11 Josh McDowell, Evidence for the Resurrection (Ventura, Calif.: Regal Publishers, 2009), 175. Jesus Christ. Hope to see you soon. (Pray for the peace of Jerusalem).